Our blankets or throws can be ordered in the following colors: vanilla white, light fawn or dark chestnut brown, true black or bay black (black with a wonderful chocolate brown hue) and light or dark grey. 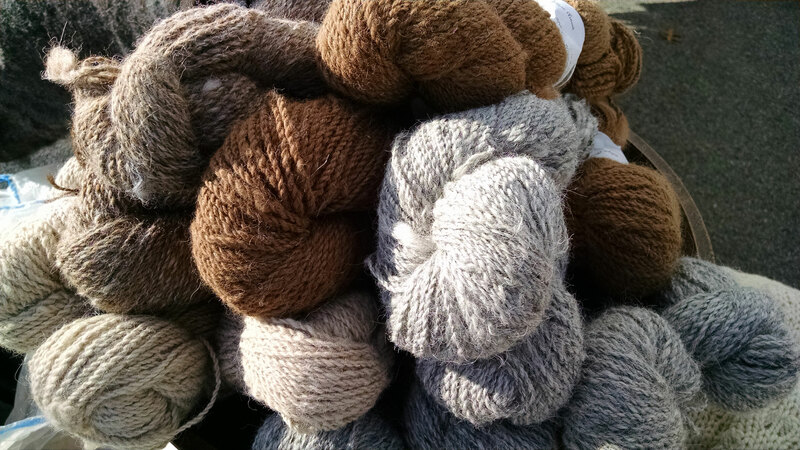 Several brown and grey yarns are colorfully variegated. Blankets can be custom designed in a solid color with varying weaves (shown below), in a checked or striped pattern or solid with a distinctive border (all shown above). Different weaves add texture and differentiation to the custom check, striped or border designs. Our blankets measure 5 feet square and come in lighter and heavier weaves and weights. Our throws are 4.5 x 3.5 feet and are priced beginning at $395.00 depending on weight and weave selected. Each of these creations take about 3.5-4.5 lbs. of fiber depending on what weave and yarn weight is selected. Custom sizes can also be ordered. Prices above do not include tax and shipping. Knitted 100% natural alpaca, Cormo sheep wool or a 70%-30% blend of alpaca and Cormo baby stroller blankets, each measuring 36 x 36 inches. Like all our products, these one-of-a-kind perfectly sized stroller blankets have not been chemically treated to remove vegetable matter, bleached or dyed. 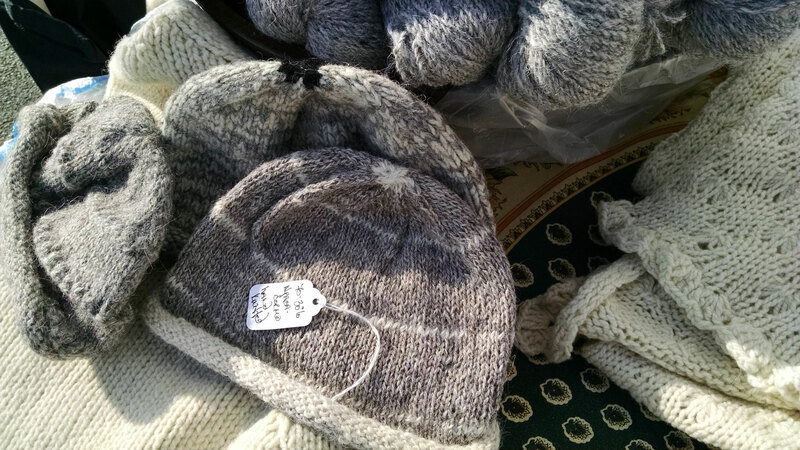 Natural colors are vanilla white and light gray or light brown in the blended wool. Custom sized baby stroller blankets can be ordered. 100% alpaca or Cormo sheep wool baby booties created by local partner Ten Piggies from Alpacatrax yarns. Our scarves can be ordered in vanilla white, light or dark brown (some variegated yarns), true black or bay black (with a lovely chestnut hue), and light, medium or dark grey. They can be custom designed a solid color with varying weaves or in a broad, stripped pattern. Colors may be custom selected as are weaves. Several of our weaves create a more ‘open’ scarf and several create a more ‘closed’ pattern with a slightly heavier look and feel. Scarves come in varying widths from 6-8 to 12 inches wide and all are 60 inches long with fringe at each end. The larger size of our scarves provides the ability to wrap one’s neck fully several times for the full benefit of the scarf’s warmth. Remember – alpaca is a hollow fiber which means these soft scarves and shawls are lighter weight and very warm. Men’s scarves are somewhat wider with no fringe and are a heavier weight. Smaller scarves for children also available. Our shawls measure 24 inches by 60 inches and can be made to order in any size. (Meditation shawls are also available in wider widths). Scarves come in similar colors as our scarves described above. Both lighter and heavier weight shawls can be custom designed in varying weaves. All have fringe at each end. Many people love the more ‘open’ look of our ‘heart’ patterned shawl, while others prefer the more ‘closed’ look and the slightly heavier feel of our ‘straight line’ weave or our ‘double tuck’ woven shawls. Many wear our shawls as very large scarves or as a ‘dressy’ outer layer for extra warmth on a spring or autumn day or summer evening. Closer woven shawls give a less ‘dressy’ look. 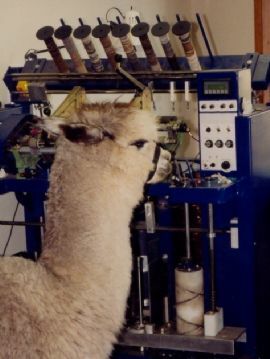 Made in custom-order sizes from a blend 70% alpaca and 30% farm-raised wool, knitted on a sock ‘machine’ by a local artisan in the Hudson Valley – a winner of many prestigious weaving and spinning awards. These ‘boot’ socks should be worn with a liner sock in heavy duty or winter boots for extra warmth and comfort. Many people like to wear them with open sandals in cooler weather. Colors may be selected from white, light or dark grey, or medium brown. Price: $48.00 plus tax and shipping. Boot liners made from 100% alpaca. These felted and lightly stitched liners are thin and when placed in the bottom of leather boots, winter snow boots or clogs, offer additional warmth and cushioning. Great stocking stuffers One of our best selling products as the winter months approach! Priced at $12.00 plus shipping.